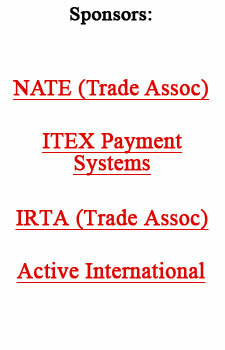 Happenings In The Trade Exchange Industry. . .
• TeleTrade reported that 2004 was a stellar year for its online technologies. Overall combined transactional volume for all web sites using TTi was $75,767,122...an increase of 131% over 2003’s volume of $57.7 million. For more information: www.evalues.net. Want to take your exchange to a higher level? Use The Competitive Edge newsletter in your operation—it promotes the many benefits of working through your trade exchange like nothing else! Berkshire Hathaway’s famed investor Warren Buffett, the world’s second richest man, cautions that our country’s trade deficit cannot be fixed with a rise in interest rates or an upward revaluation of the Chinese currency. Plus Buffett is skeptical about any major changes coming out of Washington, which is why he has been making major bets in favor of the euro, the pound, and six other foreign currencies. Editor’s Note: Obviously, these certificates would become a very valuable form of “currency” which could be sold or traded among companies wishing to sell into the United States. The Palm Springs International Film Festival that was held this past weekend, has been re-energized...celebrating both film and the city itself. Fifteen years ago, as the mayor of Palm Springs, Sonny Bono (of Sonny and Cher fame) came up with the idea of the festival. It was in answer to the town’s deficit, not it’s desperate need for foreign film. Because the economy of Palm Springs runs on its transient occupancy tax, Bono wanted to fill the hotels and restaurants, showing the world that the city was once a place of old Hollywood glamour for a reason. Back then Bono proved to be a real trader. He convinced the Los Angeles Times to provide multiple pages in the paper for the city to promote and advertise the festival, in exchange for being named a major sponsor of the event. Greenburg and Matzner, knowing that product branding is an act of will, not chance, brought in high profile sponsors, including Tiffany, Mercedes, “Entertainment Tonight,” and the city of Indian Wells. And, as usual, barter played its part in the overall success of the effort. The newly renovated Parker Palm Meridian hosted the honorees and many of the high-profile guests. And Tiffany, which signed on for a three-year commitment to the festival, provided thank-you watches to honorees and presenters. In return, Tiffany was a very clear presence at the gala—from the live models flanking the final turn of the red carpet to a montage of clips paying homage to the jewelers. In another 20 years will nearly all construction be done by robots? A California scientist thinks so. With federal funding Behrokh Khoshnevis, a professor of industrial and systems engineering at the University of Southern California, has devised a machine that takes its instructions from an architect’s computerized drawings and then squirts successive layers of concrete, one on top of the other, to build vertical walls and domed roofs. The computer-guided nozzle squeezes out a line of wet concrete like toothpaste being deposited on a toothbrush, repeating the pouring as many times as is necessary to achieve the programmed height. Khoshnevis’ “contour crafter” can work around the clock, with no need for breaks. His first “house” planned for construction in late 2005 will be a shell, but later efforts would include plumbing and electrical systems. Initially, such robot-built structures would be used as emergency housing and as low-cost homes for inner cities and emerging nations. However, the federal government is interested in them for military housing and possible space applications. Khoshnevis predicts robots will one day build houses for a quarter of today’s cost. According to Greg Sheridan, foreign editor of The Australian, the giant tsunami which rolled its wave of destruction across the Indian Ocean, from Indonesia to Sri Lanka and India and even Africa, could redefine the geopolitics of Southeast Asia. Sheridan says lesson No.1 is that it is the U.S. and its alliance system which counts for most in Asia. And the tsunami shows that the angst in Western foreign policy circles in recent years, about China being the most powerful force in Asia, is wildly premature at best. Sheridan says China has played a kind of brilliant confidence trick by getting the world to evaluate it today at its own estimation of its potential position in two or three decades. However, the tsunami shows the limits of China’s influence. They came forward constructively, but with a modest aid package because China doesn’t have the money, the allies, or the adaptable and deployable military. Nor, Sheridan contends, does it have the confidence of neighbors, the culture of compassion, or the diplomatic clout to lead a relief effort in the way the U.S. has done. A record number of Japanese companies provided shareholders with special treats in 2004, aside from the typical dividend payment. Some 868 companies, or 24% of all listed companies on the Tokyo stock exchange, presented shareholders with food items, prepaid cards, and such. The most popular perks were coupons for free or discounted meals. Private-equity buyout firms with investment funds totaling $1 billion or more now number 170, up from only 4 in 1990, according to Thomson Venture Economics and Morgan Stanley. India had a 24% rise in foreign tourist arrivals last year, totaling 3.37 million. The popularity as a tourist destination is a trend expected to continue despite the tsunami that devastated the country’s southern coast recently. Delta’s recent radical restructuring of its fares is being viewed as the democratization of air travel, with price differences between one way coach fares and first-class fares now $100 (one way). AirTran, Delta’s arch-rival in its Atlanta home base, only charges $35 or $75 to move up to the front...depending on the length of the flight. Negativity may cost American businesses $250 billion to $300 billion annually in lost productivity, according to Michael Lednovich, President of True North Executive Development. He points to a recent Gallup Organization report that says 22 million U.S. workers are extremely negative about or actively disengaged from their jobs. Venture capitalists are still playing it safe. VC investments peaked nationally at $28.6 billion in the first quarter of 2000, and by the third quarter of 2004 had dropped to $4.3 billion. China has taken another step forward...opening its doors to the world’s retailers. Wal-Mart, Carrefour and the rest of the largest retailers can open outlets anywhere in China without having to shop first for joint-venture partners. Even so, Wal-Mart said they will continue to pursue joint-ventures because of the advantage of obtaining local knowledge.